Since February 2015 reports have been circulating that Apple intends manufacturing electric iCar to compete with Tesla. This source of information had come up after Business Insider had received some facts from an Apple employee with some knowledge on the development on the subject. There were rumours that Apple will now be focusing on autonomous driving system. This had added up with the findings of cars that were registered with Apple arrayed with sensors/cameras which had been exposed later and had led to the visions of Apple iCar. The Wall Street Journal had earlier stated that there were several hundred, according to Apple employees working on the project and the iCar had been named `Titan’. Though many are of the belief that Apple had intention of moving away from autonomous car project, a latest letter addressed to US transport regulators by Steve Kenner, the director of product integrity of Apple conveys something else. Apple had seemingly informed that it had been excited about the prospective of automated system in several capacities, inclusive of transportation as well as there were substantial collective benefits of automated vehicles to be realised. The same had been confirmed by one of spokesman of Apple that the letter to the National Highway Traffic Safety Administration – NHTSA, had been impelled by its `heavy investment in machine learning and autonomous system. Moreover it also wanted to assist in outlining the best practises in the future industry. The letter had also stated not to introduce many rules with regards to the testing of self-driving cars, requesting that launching manufacturers as well as fresh entrants should be equally treated. A suggestion had been made by Kenner that companies need to share data from crashes together with near-misses in order to develop a better comprehensive image instead of one company alone supporting in improving the system. And knowing Apple to be focused on user privacy, the same would be out of character of not making a mention of it in the letter. Besides this Kenner also observed that the privacy of the individual should not be compromised by the sharing of data which regulates `address privacy challenges connected with the collection, used together with sharing of automated vehicle data’. Tim Cook, CEO of Apple had answered during the Q4 2016 financial results of Apple topics on Apple Pay, Siri together with the importance of Apple Car. 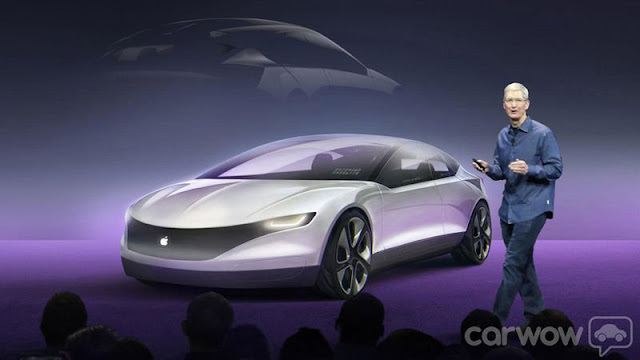 Though he had not confirmed or denied the presence of the rumoured electric car of Apple he informed that Apple always visualized for methods wherein they could enhance the experience together with the experience of the customers on various sets of products. He had further mentioned that they are always looking at new things and the car space has been an area which is evident with lot of technologies that will be available or would be capable of revolutionizing the car experience. He adds that it is so interesting from that point of view though nothing to certainly nothing to make an announcement. The CEO of Apple as usual is being evasive on the topic and considering the same, it does indicate that Apple could have something to make an announcement in the near future. Apple had something extraordinary and it has become synonymous with this tech firm as well. For quite some time it was reported that Apple is experimenting with the different of chagrining its iPhone and iPad devices wirelessly. Quite recently it has filed a patent which helps these devices to charge at a good pace with contact through using the signals emitted from the Wi-Fi devices in the form of radio frequencies. This also brings our focus to the wireless charging on a more grand level as soon the Apple users will be able to bid adieu to the physical cable for good. One of the interesting things to note about this patent is that Apple has found a way of re-powering its range of devices not just using the Wi-Fi but also the mobile and millimeter wave signals. Apple patent has clearly proposed the way of directing the electromagnetic frequencies tight towards the device like a beam of energy. It would come as a surprise that this technology was invented way back in 1891 by Nikola Tesla. It makes use of an electromagnetic field in order to transfer the energy between the two objects. The conventional wireless charging is supported on a variety of mobile phones by keeping the device on a charging pad or mat. Some of the popular flagship device to support this technology includes LG G4, Samsung Galaxy S7, Google Nexus 6, Microsoft Lumia 1520 and Blackberry Priv Z30. This technology has helped in doing away with cumbersome phone specific chargers to a very limited extent. The patent filed by the Apple at the moment only covers the theory behind its method but doesn’t reveal the actual way of doing it. 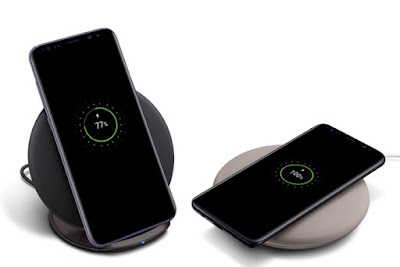 For quite some time rumors were rife that Apple will be introducing the wireless charging on its iPhone series which would mark first time in ten years that Apple has given respite to the users from the lightning cables. It is quite unclear how exactly Apple will be bringing this technology on its range of devices. It is worth noting that Apple won’t be bringing the short range inductive charging system which is found on the Apple Watch as well as on Samsung Galaxy S8 devices. This charging technology is quite old and a number of OEMs has been playing with it for few years but they had not found any long range system or capability. Apple has decided to stay away from this technology as it was waiting to come up with a long range system which offers a better option to the users. Just few months Apple has patented the inductive charging station in concept specifically designed for the iPhone. Way back in 2010 Apple filed a patent to recharge the iMac wirelessly from the distance of 1 metre. But we still fail to see the resurgence of this technology on Apple device ecosystem and this new patent has helped in giving hope to the Apple fans once again. iPhone 8 based rumors and reports doesn’t seem to die anytime soon. This being one of the most eagerly awaited gadgets to be unveiled this year has left everyone wishing for something extraordinary. It might come as surprise that the images leaked can turn out to be the very first images of the iPhone 8. Samsung has simply gone ahead with revamping the complete design for the S8 which shows a definite departure from its stable design present in almost every high Samsung gadgets. 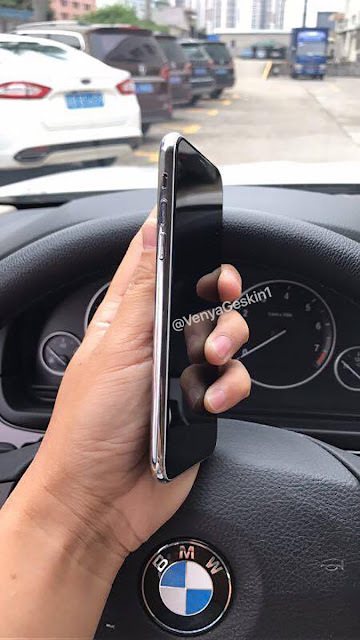 Apple is also working on the same lines as per the images where a prototype of the handset is shown having a redesigned look. The pictures made available in the online forums shows the primary hardware for the upcoming iPhone 8. Quite interesting it retains the structure of the iPhone 7 and other who came before it as it offers the similar volume button along with the rounded rectangular design and the power switch. Nothing has changed on this level but a lot of effort has gone towards the extending the length of the device at its sides. The prominent design change which reflects from the picture is the presence of the long camera hole which now stretches right down the phone. With the launch of the iPhone 6S Apple first brought the large oval opening for the camera as it helped in keeping the dual lens camera setup in the efficient fashion. However in the pictures it can be easily seen that Apple has rotated them to a certain extent so they move down the phone. Quite interestingly in the images it has been seen that there is no Apple logo present at the back of the phone. In the prototype usually the logo is not present which a norm is but this also helps in pointing fingers at the legitimacy of the images. Secondly Apple would never bow down from retaining the iconic branding on its premier flagship smartphone devices at all. When it comes to thinness, thickness and dimensions this new iPhone happens to be of same physical dimension as seen on the iPhone 7. 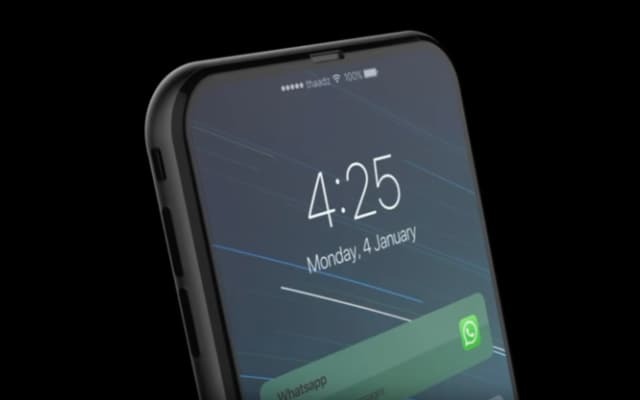 It is also being speculated that Apple will be following the Samsung lead by bringing a similar edge-to-edge display on its iPhone. Most of the times the images posted in the online forums and websites tend to end up as being fan made or artistic images. But rumors are strong that this particular set of images happens to be the true prototype though legitimacy is highly questionable. For all those who are eagerly waiting for the upcoming iPhone 8 should understand that Apple has not yet revealed any information or pictures for this product and these images are likely to merge as hoax in next few months. Apple will be unveiling the new iPhone along with other gadgets in September if the development of the new gadgets doesn’t get delayed in between. Galaxy against iPhone: this year, it's going to be an extra year. In 2017, it promises to be particularly exciting. Samsung has to deliver after the note 7; Apple will introduce its anniversary iPhone. We compare the Galaxy S8 and the iPhone 8 based on the current rumour. At the Mobile World Congress 2017, there were some exciting smartphones to see. The LG G6, the Huawei P10, and the Nokia 6 - all these devices could convince. Nevertheless: The very big highlight was missing this year. This was because Samsung pushed the presentation of the Galaxy S8 was postponed. After the presentation of the Galaxy Tab S3 there was only a short teaser, held an event on 29 March 2017. After all, almost all the specs, pictures and videos from the device have come into the public several times. According to the company, the Galaxy S8 is once in a normal and the larger plus version. With Apple this year even three iPhones are pending. To the iPhone 8, which is apparently to be called iPhone Edition, the upgrades of the model from the previous year: the iPhone 7s and the iPhone 7s Plus. The Samsung will probably differ only with the screen and the battery size as well as in the price. In addition, we can assume that the new Galaxys also offer top processing. Since there was in the past few years apart from the premium class nothing to complain about. Likewise, it will be experience with Apple. Well, the protruding camera lens in the last devices was perhaps not everyone's thing. The Edge screen, which Samsung introduced with the Galaxy Note Edge and then with the Galaxy S6 Edge on both display pages, has now become the trademark of the premium class. Leaks show: Even 2017 do not differ from Samsung. On the contrary, for the first time, both Galaxy-S devices will come with curved displays, which extend over the entire front side. Infinity-Display calls Samsung the same, the smaller output is 5.8, the larger 6.2 inches. As far as the technology is concerned, everything that is not AMOLED would be a surprise. Apple is also on the iPhone 8 gadget for the first time set to OLED. Whether the company from Cupertino sets on edge screens remains to be seen, but is not excluded. Apple will probably change the display size. The current iPhone 7 Plus offers a diagonal of 5.5 inches, the iPhone 8 is to come to 5.8 inches. That was in the past at 2560 x 1440 pixels. Apple's largest iPhone brought it 2016 to Full-HD. Apple should go even a step further and the fingerprint sensor in the screen. In addition, the well-known dock in iOS could give way to a touchbar-like bar that offers fast access to apps. There will be further optical differences in the connections. Apple has already renounced the iPhone 7 on the headphone connection and will not deviate from it. At Samsung, which also show pictures, the socket is still on board. In terms of performance, both smartphones are not likely to be used in everyday use. Samsung is using the new Snapdragon 835. Samsung has secured a lot of chips for the production by an exclusive deal with Qualcomm - and thus also overpowered all competitors. Apple, on the other hand, is an open secret, the A11 chip is used. As you know from the company, you will not reveal details on the timing. Instead, a chart of marketing boss Phil Schiller will once again show how much faster the new iPhone is compared to its predecessors. The company is also traditionally silent on working memory. You can assume that the speed at the iPhone 8 will again be very high. Both Apple and Samsung have been known for years for excellent smartphone cameras. In the iPhone 7 Plus, Apple has switched to a dual camera, with which to shoot chic portrait photos. On Samsung, however, it did not look like a converted to double clips on leased images. A tweet, however, gave cause for surprise. Perhaps the dual camera at Samsung is used up front. Portrait Selfies would be fine. Apple also has something special - the front camera, it is to support depth perception. In principle, the technology even includes 3D self-esteem and facial recognition. With the software, Apple traditionally has the nose ahead. iOS 11 is adjusted exactly to the hardware of the iPhone 8. In addition, operating system updates are guaranteed in the following years as well. At Samsung it looks a bit different. The Galaxy S8 certainly comes with Android Nougat on the market. Until the update on Android O follows, it should then experience but again a few months. Siri is an old well-known one that fulfils the usual requirements more or less reliably. Samsung sends Bixby a whole new artificial intelligence into the race, which comes from the Siri inventors. Scope? Not clear! In addition, you can connect the Galaxy S8 to the so-called Dex interface to a monitor and use as a PC. That sounds exciting. With such a thing, Apple cannot serve. Finally, the iPad Pros and the MacBook Pros are working. Up to the presentation of the S8 it takes only a few weeks. Very shortly it should come on the market. The prices are rumored at 799 euros for the small and 899 euros for the big Galaxy. Apple traditionally invites in September. Especially in the anniversary iPhone, there is no reason to swerve from it. The prices always remain constant. But this year should only apply to the iPhone-7s series. The iPhone 8 should be significantly more expensive. 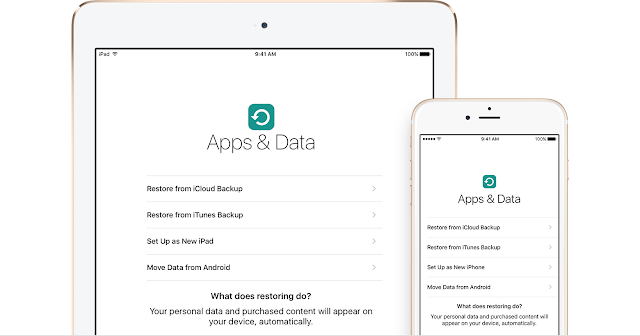 You could opt for automatically or manually back-up your device. If automatic is chosen, iTunes tend to start backing it up each time you are likely to plug your gadget in. Apple could provide support in changing the passwords and not only by paying off the Turkish Crime Family. The other major sites such as Amazon, LinkedIn and Netflix tend to buy cracked password list and use one-way hashing counterparts in order to check for prevailing passwords and then reset susceptible passwords asking users to switch passwords. Apple has not does that so far though it considers doing the same depending on how huge the threat would appear to be. Since Apple is presently not doing the same, it is up to the user to do it. In order to change the Apple ID password, the user should sign in to their Apple ID account page in any browser and follow the reset your password instructions. The new Apple ID password should comprise of at least eight characters, together with a number, an uppercase letter as well as a lowercase letter. Spaces, the same character three times in a row, your Apple ID or a password used the previous year are not permitted. The user should be aware of not using dumb passwords like `abcdefgh, qwerty or password’ In order to create an easy and secured password, that would not tax your memory would be to utilise passphrases rather than passwords which would be easy to evoke. Once the password has been changed the user will have to change it on all the Apple devices. Thereafter it will be essential to add another layer of protection namely the Two-Factor Authentication – 2FA. When the 2FA is activated, the user can access his account from trusted devices only like your iPhone, iPad or Mac. This could be time consuming but considering how much work it would take for the user to replace the important music, photos, books or documents, should your Apple iCloud account be hacked, it would be worth the efforts taken for the same and the user would have saved important data from being lost.